Get your mail in your pocket! 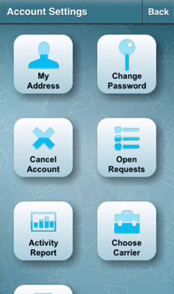 With the iPostal1 smartphone app, managing your postal mail and packages will never be the same. 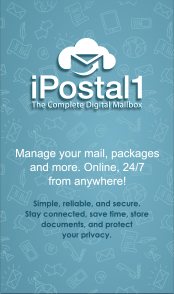 You'll be able to access your iPostal1 Digital Mailbox anytime anywhere from your Android or iPhone with our convenient, easy to use app. Sign up now for a real mailing address at any of our Digital Mailbox locations nationwide and download our FREE digital mailbox app from the App Store or Google Play. 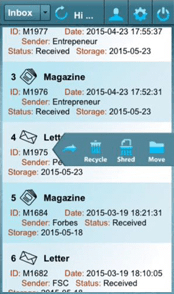 Then you can start managing your postal mail like you manage the rest of your life! Get a forever, real street address, professionally-staffed and secure. Wide choice of addresses across the U.S. Packages received from all carriers. Receive real-time notification when you have new mail and see a picture of every item in your inbox so you know exactly what's there and who sent it. Get real-time shipping quotes from a choice of carriers and service levels. 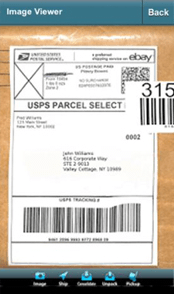 Consolidate mail or packages to save on shipping. 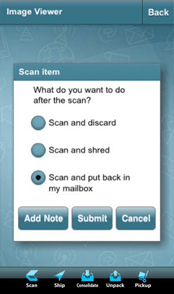 Forward or consolidate mail and packages, request a document scan to receive a PDF in your mailbox for immediate viewing, shred or recycle unwanted items, add a phone or fax number, and deposit checks. Store scanned mail content and upload documents. You get 2 GB of free secure cloud storage. Identify and block junk mail from cluttering your mailbox and recycle unwanted items for a greener environment.